Self Care? Who even knows where to start? Hello! I’m Jess McCallum, a Clinical Psychologist from Perth, Australia. When I was at uni, self care wasn’t even on my radar. I studied psychology full time, was working three (!) jobs, and was going out with friends. I couldn’t even see the burnout that was happening to me, because I was young and full of energy (and way too many Red Bulls). Then, in 2011 I got hit with an autoimmune condition and I had to learn the hard way just how much stress and self care plays a role in a lot of mental, emotional, and physical health issues. Nowadays, I work as a psychologist and help people manage their stress levels EVERY DAY. I prioritise my own self care routine, and I help other people like yourselves to do the same The Complete Self Care Workbook is going to help you do just this. This is the workbook you need to buy if you want to reduce your stress levels, and take your self care routine to the next level. It include 30 pages of practical, useful strategies that you can implement straight away. For only $12.99, can you really say no? Is this an ebook or physical copy? This is an ebook! It will be available to download as soon as you complete the purchase. Do I need an understanding of stress or psychology to benefit from this? Nope. 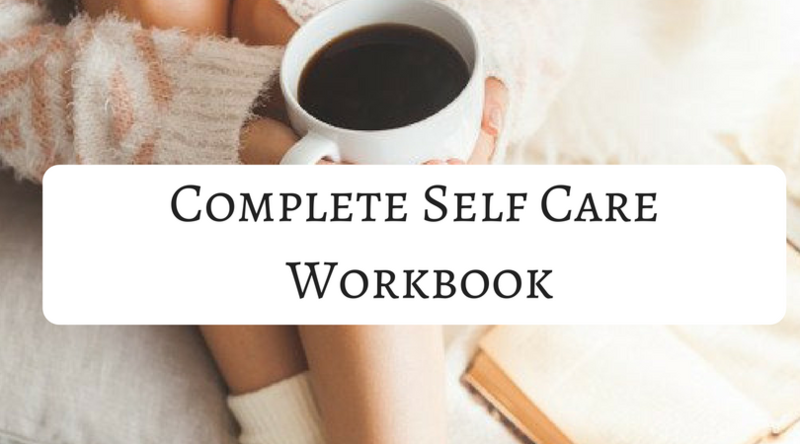 This workbook is designed to benefit everyone who needs some strategies to improve their self care routine or reduce their stress levels. Whether you have done this work before, or this is TOTALLY new to you, there are lots of activities in here for you to practice. I am confident that you will find much benefit to learning more about your stress and self care style, and learn some new self care strategies that you didn’t know about before. And for only $12.99, this is a steal! However, I make no guarantees that this will work straight away. It’s all about how much you take on board the advice, and practice the skills. But if you have a problem with the material, I want to hear from you. Email me at: [email protected] and we can chat about it. I am passionate about helping people love themselves more, and improving your self care routine is a wonderful step towards this. That is why I created the Complete Self Care Workbook. What are you waiting for? Jump right in!